Here at Shropshire Petals we grow biodegradable and eco-friendly natural petal confetti on our family run farm. Throwing confetti symbolises prosperity and fertility for the happy couple. 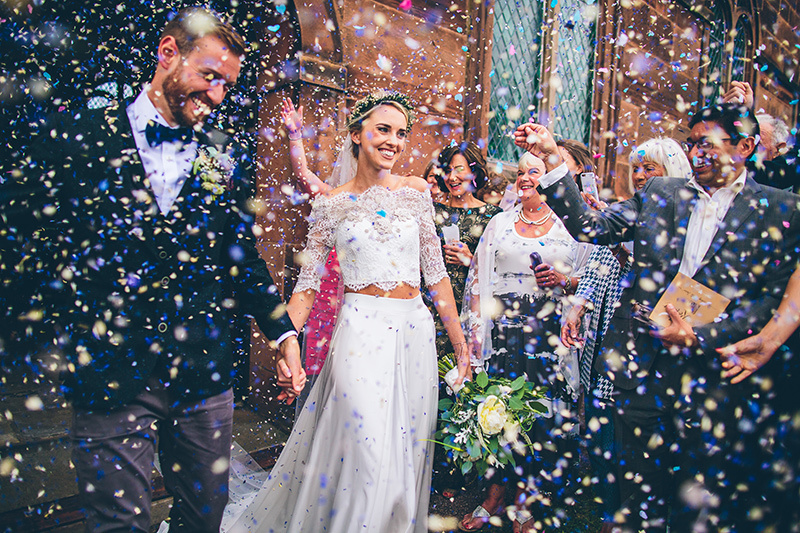 We also find the confetti moment is usually the most relaxed part of the day that everyone gets to be involved with and the photo that couples cherish for years to come. Most churches and venues only allow natural petals to be thrown as confetti as it is just like blossom from the trees, it does not harm wildlife and as it is biodegradable, plus there is no mess to clean up. 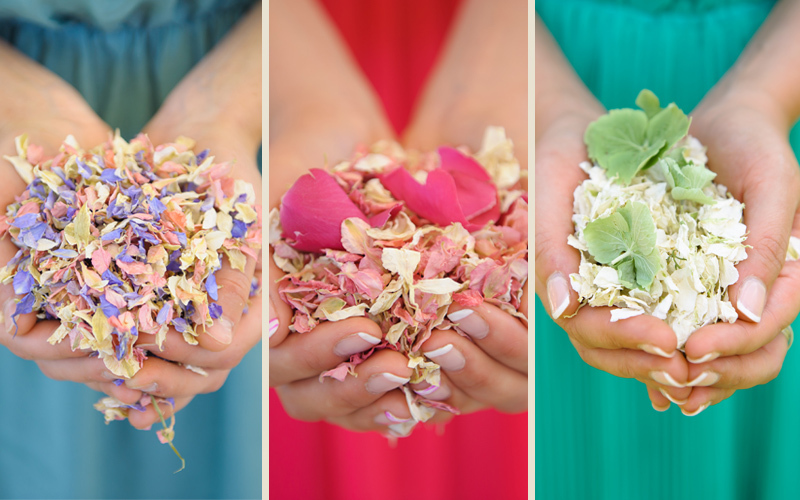 All our petals are natural, dye-free, high quality and beautiful. 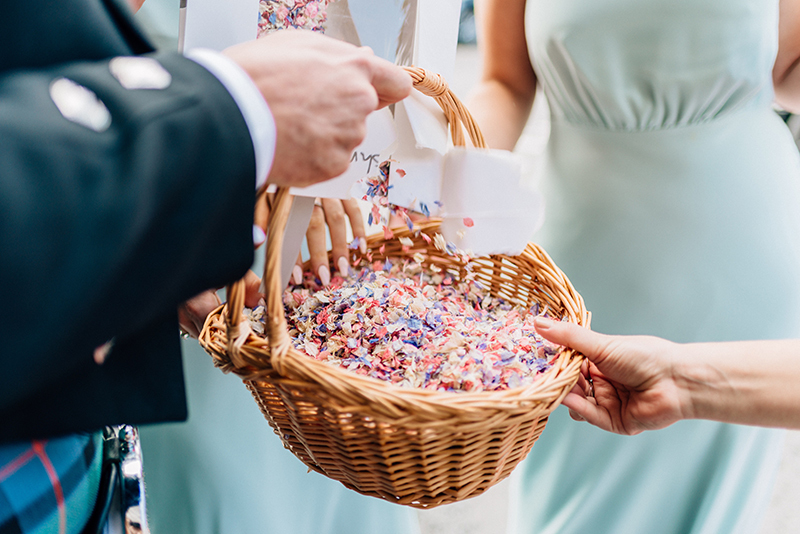 Use the confetti calculator to ensure you order the right amount of confetti for your big day. Whether you want it for throwing, for flower girl baskets, for decorating tables, or even for creating a romantic petal path we can help you work out how much you need. All our petals are dried so they will last a while, but as a rule of thumb we recommend having your order delivered right away if your wedding is under 3 months away, if your wedding is over 3 months away you can order now and select delayed delivery so we send everything out to you 3-6 weeks before your big day - click here for our delivery information.